An international network of (mostly young) people who love to communicate science & tech. We think science needs to be communicated with more passion and professionalism. On our website with interviews & resources + on social media + on Skype and IRL. A content group (the Crew), a think tank (the Academy), + lots of friends & contacts. Right now – as a matter of fact, we’ve just geared up. This time, we will learn more about SciComm activities emerging from a geographical area which is often overlooked in the general discussion about science and its communication: Africa. On the one hand, it is true that African academia has to cope with persistent challenges like poor funding, inadequate infrastructure, staff shortages and recruitment problems. The everyday struggle of experimental scientists is hard to imagine for those who work in labs in Europe and North America. For example, the difficulty of transporting tissue samples and biomolecules sometimes add weeks and months to projects – parcels are lost, frozen samples become thawed and are ruined on the way, et cetera. On the other hand, anyone who studies the websites of African universities and research institutes will be met by an impressing vitality and optimism. Innumerous projects are ongoing across this vast continent, and many of them include SciComm activities which all provide a lesson for anyone ready to read, ask and reflect. 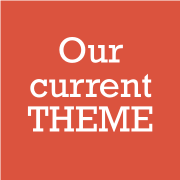 We have rarely felt such anticipation when initiating a theme here at Crastina; we are confident that we all – authors and readers have much – to learn. 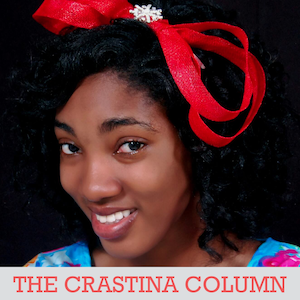 A Crastina Column by Pearl Osirike, Ph.D. student at West African Centre for Cell Biology of Infectious Pathogens (WACCBIP), University of Ghana. Current stuff from the intersection where science and communication meet – news, announcements and invitations. Meet the trailblazers and ”the crazy ones” who change the way science and tech is communicated. People thinking outside the conventions of science and science dissemination, inspiring us to do likewise. Practical communication stuff, primarily aimed at early career scientists and young scicommers. Guest posts from good friends in the Crastina network. Please make sure to check out their activities.